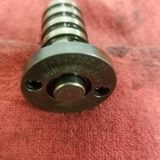 Subject: 2.0L Chain Drive - Cam/Crank correlation check - - - - - > Updated December 2018 - New Photos! 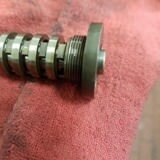 Here is a quick tip for checking the Audi/Volkswagen 2.0L chain drive engines for proper camshafts to crankshaft timing. 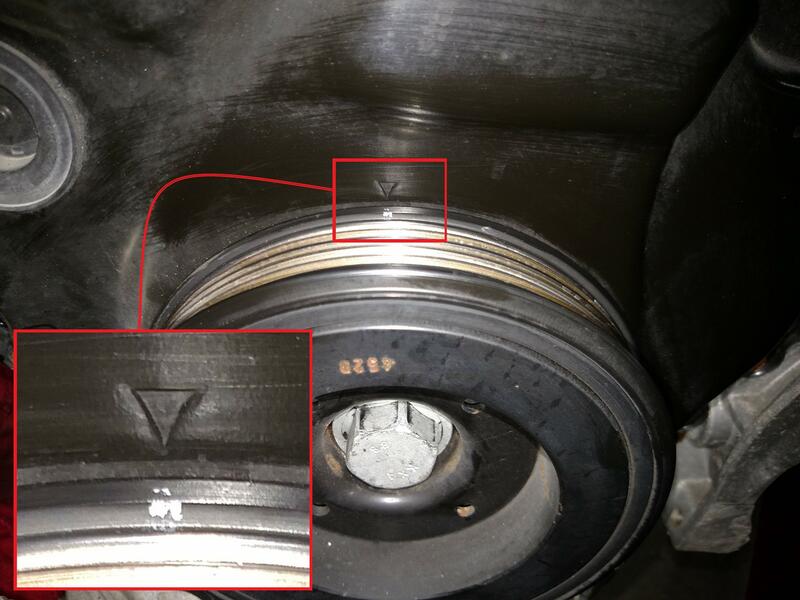 1) Verify the number 1 piston is at TDC - (Top Dead Center). 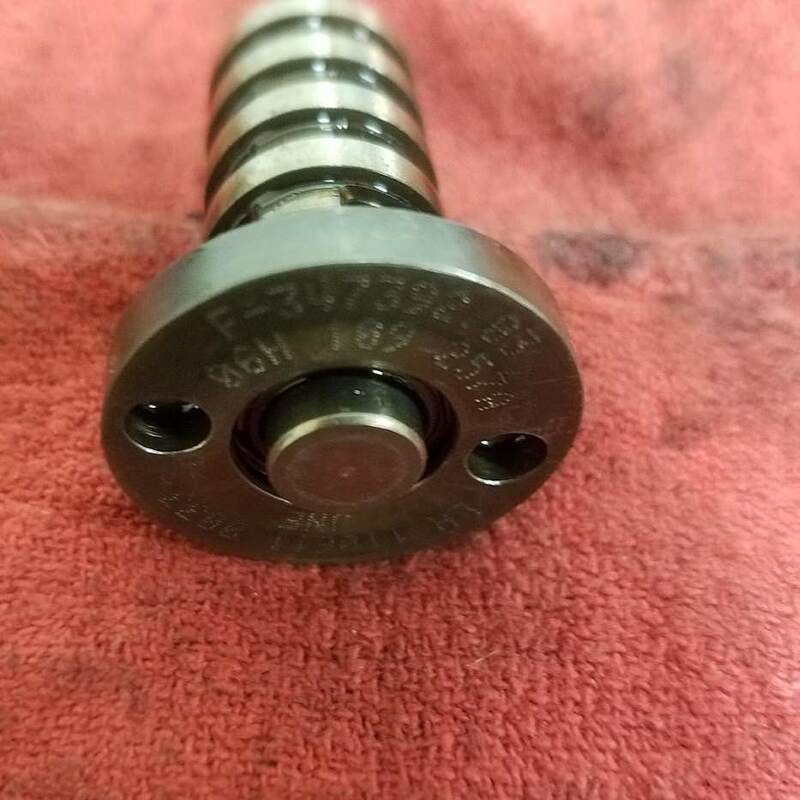 You will want to remove the #1 spark plug and verify the piston is all the way up, because the timing marks on the balance/cover could be off. - Yes it is possible to complete a repair without the special timing tools on the first try, I have personally done it, however, the special timing tools will help you so that you do not have to do the job twice. Note: There is a paint mark at the 12 o'clock position of the crank pulley and a grove at about the 4 o'clock position. 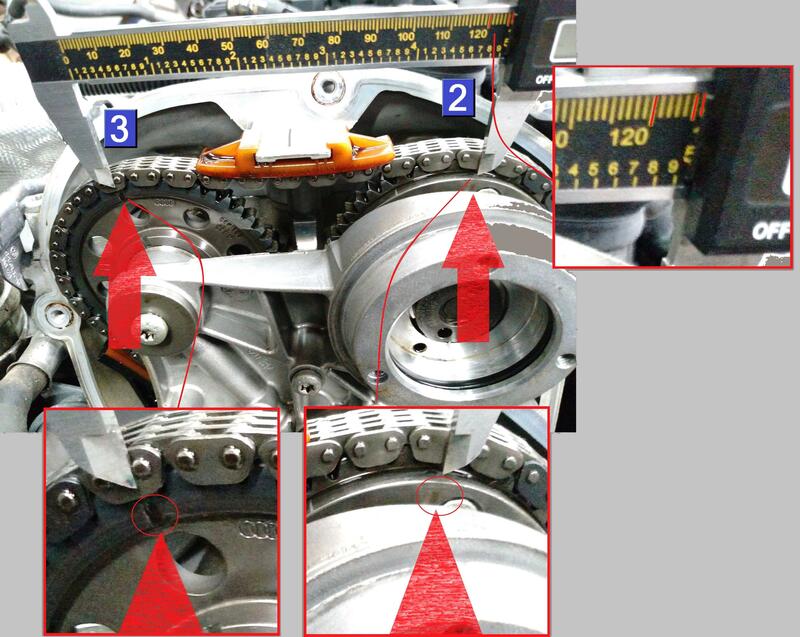 - The timing chain cover has two marks, one at 12 o'clock and one at 4 o'clock, make sure you correctly set these marks, see by the pictures below! 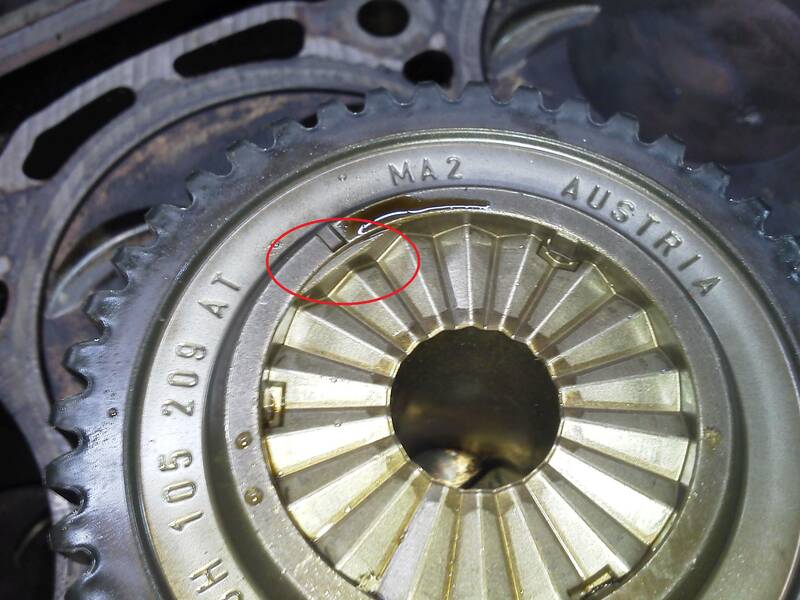 - The pictures here shows the crank timing gear(top/bottom side), notice the design, it is possible the parts could mesh together incorrectly during installation, after a repair. 2) Next, remove top camshaft gear cover, front of the engine. 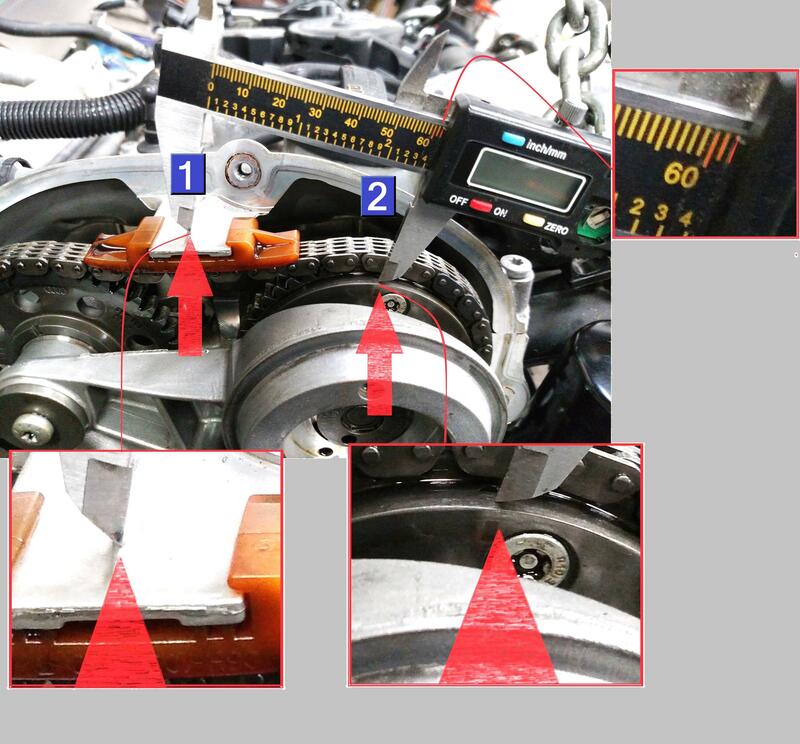 3) Using a dial or digital caliper tool that will measure in millimeters, measure the distance between the top Timing Chain Guide mount 1 and the Intake Cam mark 2. 4) Using a dial or digital caliper tool that will measure in millimeters, measure the distance between the Exhaust Cam mark 3 and the Intake Cam mark 2 . - If the readings are off, suspect there is a concern with the cam/crank timing, typically there should be a fault code for this condition, such as a 16400/P0016/000022 - Bank 1: Camshaft Position Sensor (G40) / Engine Speed Sensor (G28): Incorrect Correlation . - Also if there was no prior repairs to this engine, it is possible there is a bigger problem awaiting and immediate attention may be required. 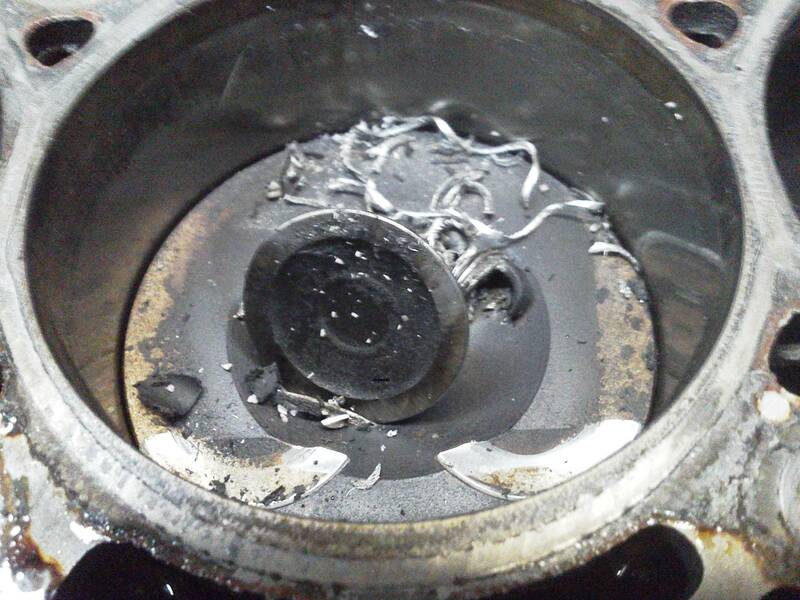 Yes, that is a broken intake valve, #3 piston, all the intake valves were bent!. -- oh, and there is the 'might as well' factor. 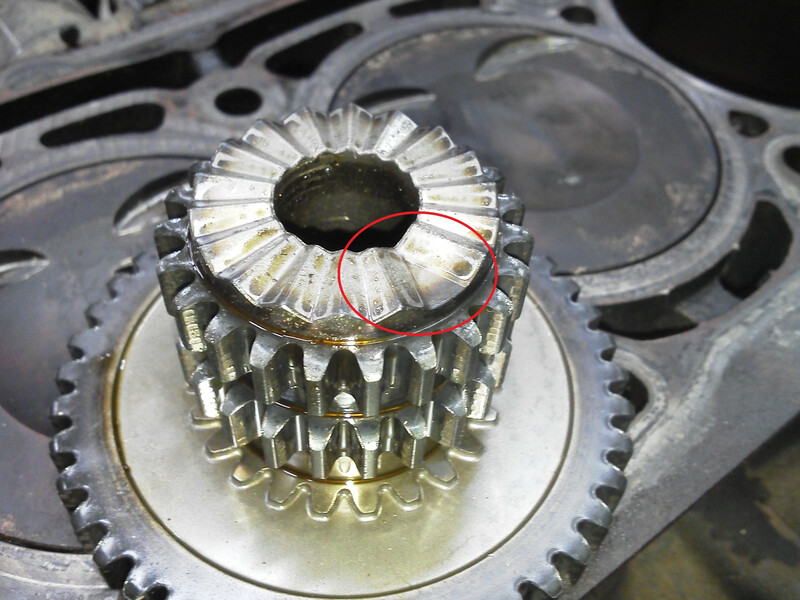 . . when and if you have this all apart, check the 'Camshaft Bridge' (part that sends oil to the camshafts), the screen inside can fail and the material can migrate to the cam bearings, possibly damaging the cylinder head. ref: VW Tech Tip "01-15-08 MIL ON, DTC(s) P0011, P0016, P000A, P0341 and or P052A Stored in ECM Fault Memory"
-- oh, and there is the 'might as well' factor. 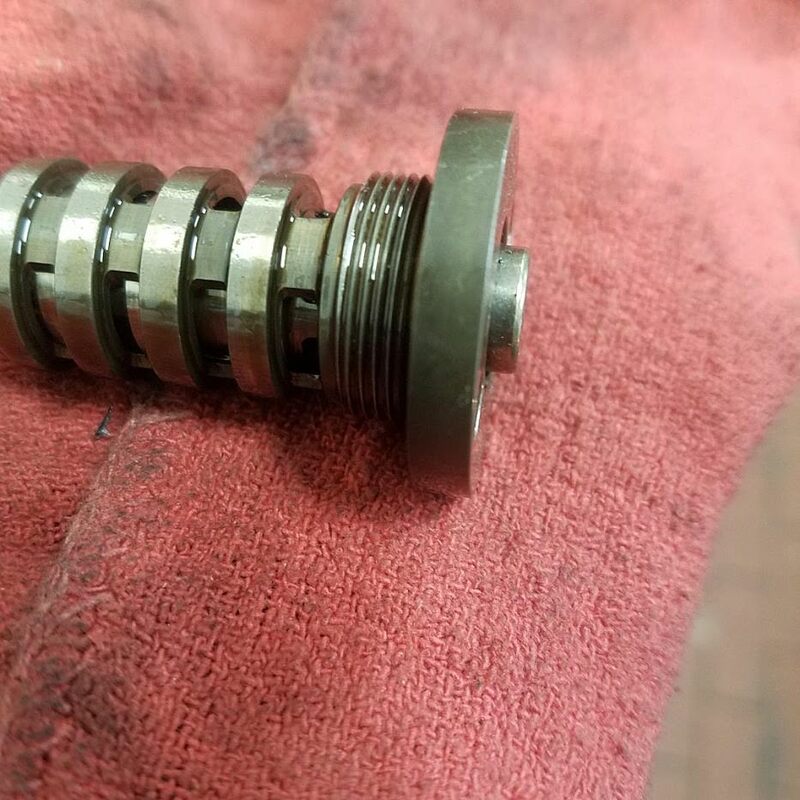 . . when and if you have this all apart, check the part that sends oil to the camshafts, the screen inside can fail and the material can migrate to the cam bearings, possibly damaging the cylinder head. Yeah I am convinced since the 1.8T introduction of these fine screens, they are the kiss of death! I remove and never install these screens. 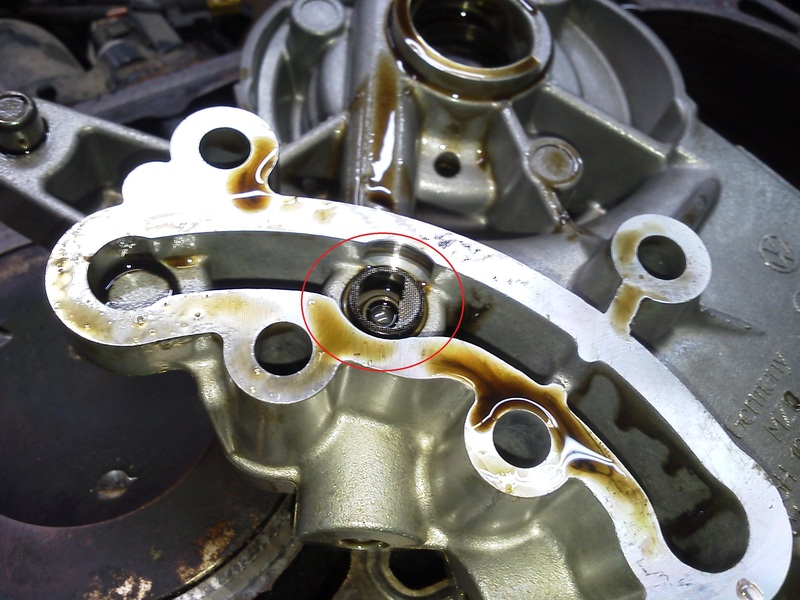 If oil can't get to the component.......... you have way more to worry about in damage, and the engine lacks the obvious service work if they are contaminated. The benefits of "NSTP" are making a comeback.............! I have a question for the experts. What's the quickest way to safely re-time an engine that's a tooth off after a botched chain tensioner replacement? It looks like the only way is to start over and loosen all chains and realign all the colored links with their marks? Count links, mark with paint? Just trying to fix someone else's screw up without spending the whole day. What's the quickest way to safely re-time an engine that's a tooth off after a botched chain tensioner replacement? - Note: Be sure there is no damage to the mating surfaces of the crankshaft parts due to an improperly timing attempt. - You should secure the crank shaft gear, remove the tension from the tensioner by using the correct tools, see repair manual. T40243 - Chain Tensioner Lever - do not use a long pry-bar, as chain damage can occur! 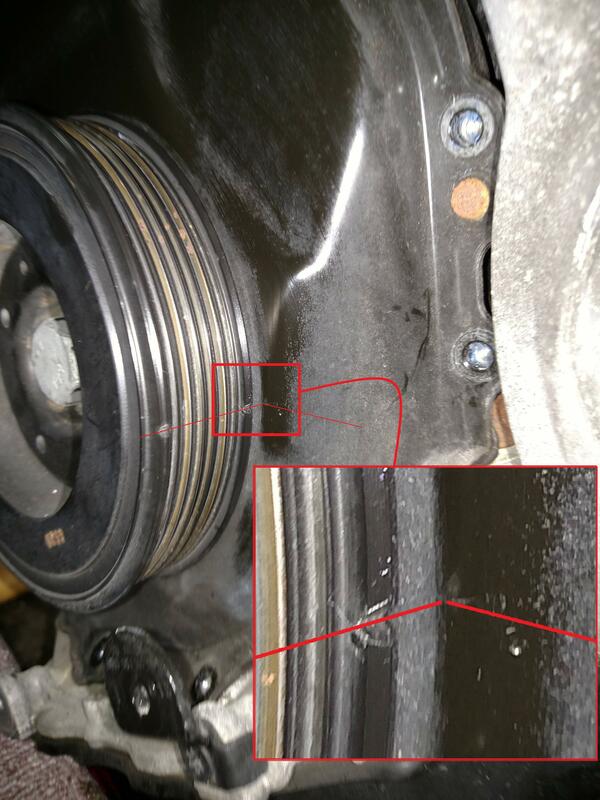 hi,just came across this thread and fount it very informative.i have the same fault code on a ccz golf 6 engine.replced timing chain ,tentioner ect.new camshafts were also fitted as the lobes had shifted[niticible with the eye]replaced cam and crank sensors too.the vehicle was not running when it came to me so am not sure if fault was present before.have checked and rechecked the timing and looks perfect .symtoms are a rough idle as if it has a racing camshaft fitted.driving the car it feels like the power is all ther. been updated with some new photos that should be a lot easier to view.